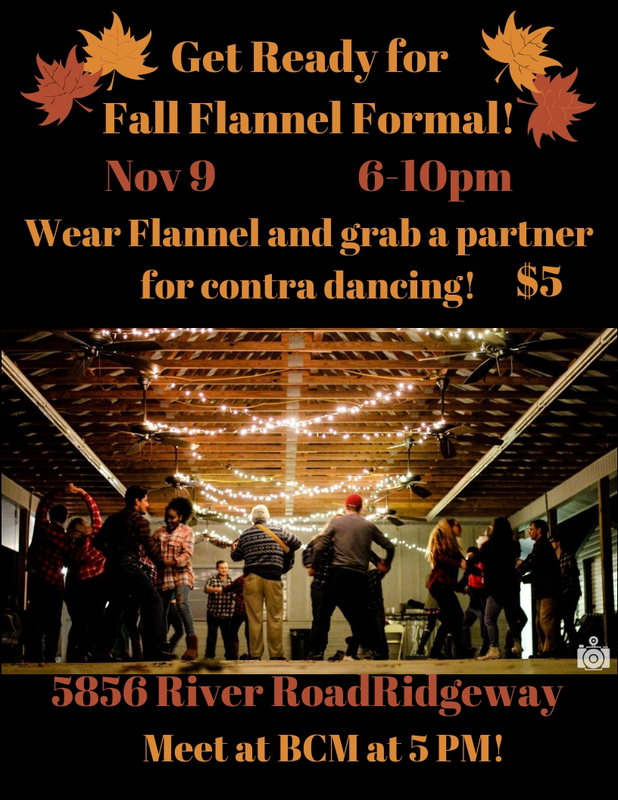 Fall Flannel Formal is one of BCM's most favored event! Show up wearing your best flannel shirt with your feet ready to dance! We dance the night away under string lights to a dance form called "Contra Dancing!" It is a blast! Everyone gets to dance with everyone by the end of the night! Food is provided. More details to come. You won't want to miss!